1. 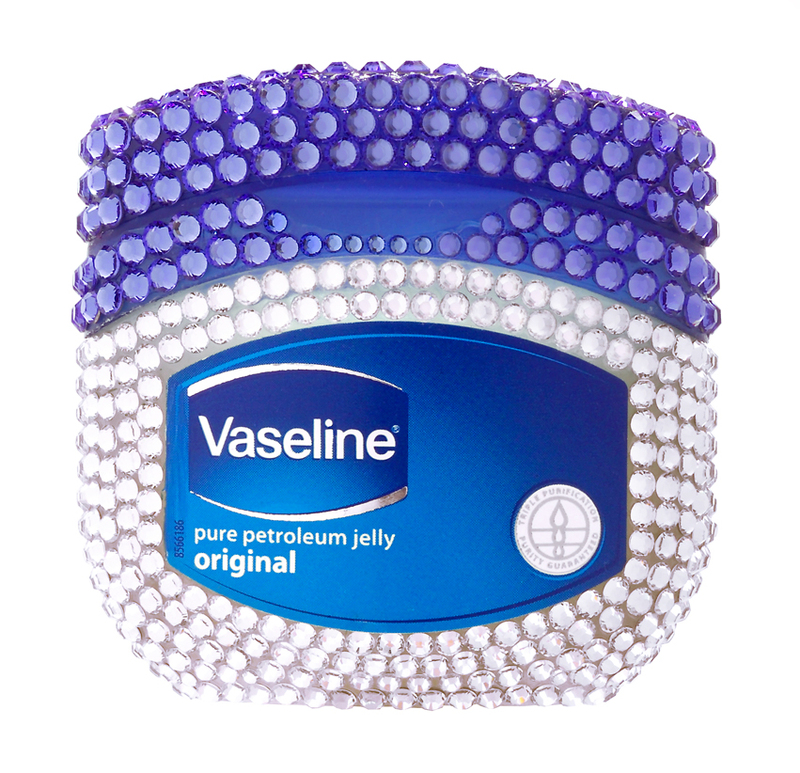 Mix a dab of Vaseline Petroleum Jelly with loose eye shadow to create a blush or eye shadow that moisturizes and lasts longer. 2. Mix a pinch of your favorite powdered drink or melted chocolate chips with Vaseline Petroleum Jelly to make your own flavored lip gloss. 3. Rub a bit into the ends of your hair to hide the appearance of dead ends. 4. Apply all over your body to stay warm while participating in cold weather sports. 5. Rub a layer along the inside of a carved pumpkin to seal in moisture and protect against rotting. Caution: you should not use the Petroleum Jelly if you plan to illuminate your pumpkin with candles or fire as it will make it flammable. 6. Shine patent leather shoes with Vaseline Petroleum Jelly for a fresh, polished look. 7. Fill a scratch on a LCD monitor by rubbing a dab of Vaseline Petroleum Jelly over the mark. 8. Keep your front door locks from freezing by smearing Vaseline Petroleum Jelly on the shaft of the key and inserting it into the lock. 9. Remove dried wax from candle sticks by rubbing them with Vaseline Petroleum Jelly.